An indicative report focusing on a few key points raised by our distinguished guest speakers at ‘South Island Art Day’ at Ovolo, Southside. To download the PDF report please click here. 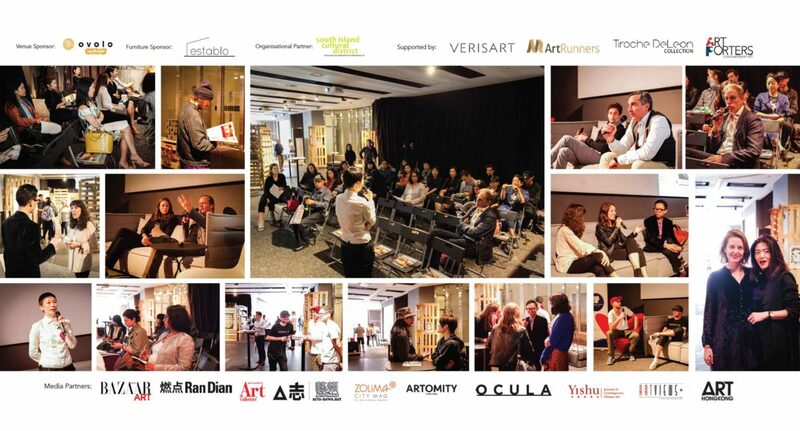 With a burst of art events all over town, two art fairs mid-way and the newly renovated hub of Hong Kong island to explore, Art World Forum proudly hosted ‘South Island Art Day’ in collaboration with the South Island Cultural District on Thursday 23rd March at Ovolo Southside. 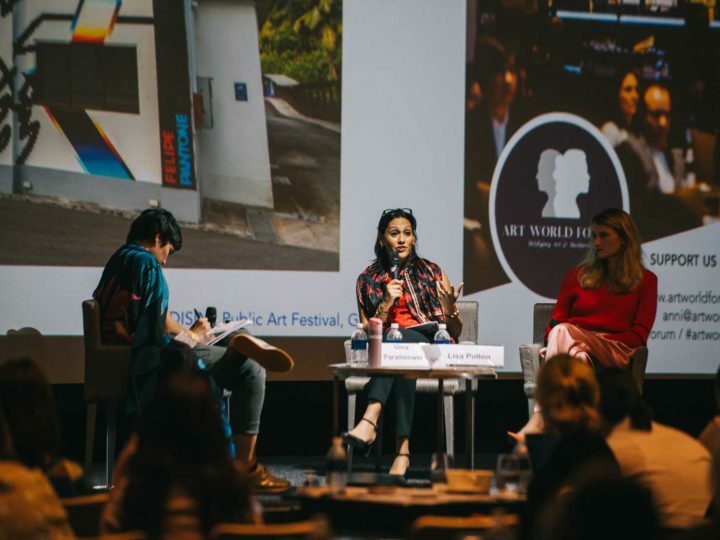 The event, which was open to the public, and paired with non-profit street-art focused organisation, HK Walls, welcomed an array of varying wanderers and perspectives. With short yet dynamic conversations, the turnover of discussions covered significant ground and encouraged a circulation amongst attendees. With an estimated 100 international guests throughout the scheduled four-hour day, discussions piqued interest reflected by questions from members of the audience represented by New World Development Company (Hong Kong), the Economic Development Board (Singapore), and Forbes Magazine. 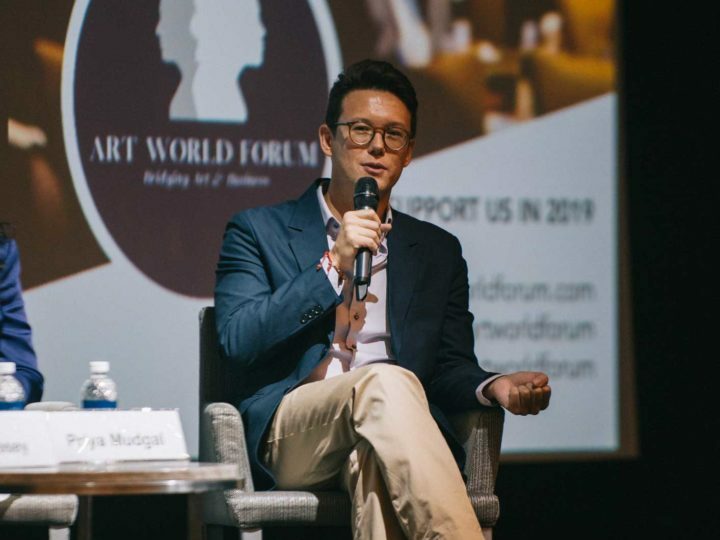 The day aimed to address factors that are currently trending in the art market, and welcomed experts and specialised guest speakers to share their insight. To start the day, the much awaited question was asked, ‘As one of Asia’s key art hubs, how does Hong Kong contribute to the global art market?’ Acknowledging Hong Kong for its commercial recognition and prominence in the Asian art scene, whether it be its availability of renowned auction houses, art fairs, museums, foundations or business associates, the discussion sought to pick at the homegrown ecosystem and its contribution to the global spectrum. The discussion continued to expand from a micro level, with artists and their creative practice at the core. 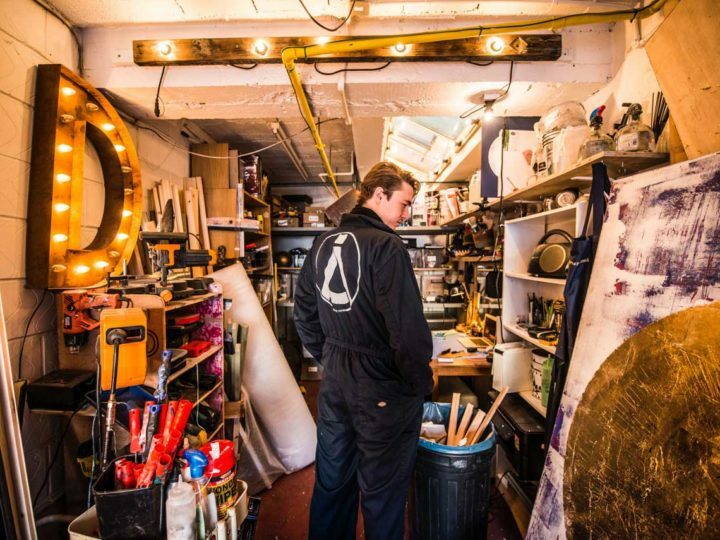 Notably known as a frustrating artist’s enclave, where rents and costs of living reach the skies, and a lack of support shown towards emerging practitioners from local galleries, collectors and institutions, the dilemma comes with twofold agenda. Although emerging talent may be cheaper to market, the demand remains stagnant, whereas selling more commercially-known names may guarantee higher sales and translate in stability in such an expensive environment. Rightfully boastful about its tax-free status, one main concern continued to linger – its neighbourly powerhouse, China. With Chinese museum expansions gaining approval into the bourgeoning hub, and Shanghai scheduled to launch its own tax haven, the conversation questioned controversy over the so-called independent state, as well as reroute its attention to the comfort levels of new clientele cliques. “From an investment standpoint, collecting video art seems to be a harder asset class. Generally, I think that artworks that are sold in editions have less investment potential than unique artworks. I prefer video works that do not have a narrative. If they do, they give me the sense of a documentary. 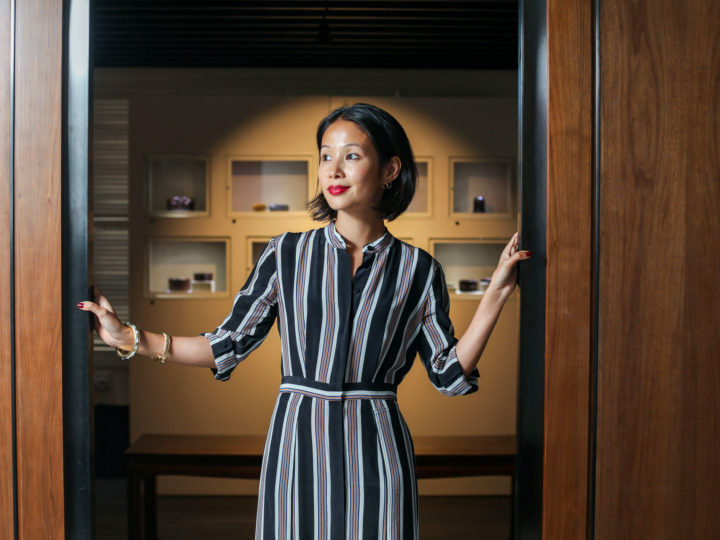 When the market sets high benchmarks, suggesting approximate figures of 1/3 of an artist’s work being credited as masterpieces (as opposed to the remaining 2/3 which cater for commercial purposes), as highlighted by Allison Liu, Managing Director of Bergen Art Investment, it becomes the sole mission of an artist to not only communicate efficiently through his work, but to also meet industry standards. With changing genres and immaterial artworks up for grabs, the ‘conceptual art’ notion has been redefined in the marketplace and reached new heights in the context of buying power and production relevance. With a keen approach in welcoming culture, craftsmanship and traditional means to a certain degree, the online was unanimously treated as a strategic tool. With a growing gap between established and middle-sized galleries, and an ambiguous understanding of a viewer’s preference towards the digital vs the physical (or vice versa), it was agreed that the approach needed is to be more aggressive. Using the online to its full potential “you need to support your options and buy visibility for the artist in museum shows or sponsorship opportunities – an overall business strategy,” stated Tiroche. To summarise, change in the art world is arguably slow. Its foundations are very much concerned with practice and ecology, or the way in which monetary value is constructed from principles founded in an older model. As achieved at the forum, the focus should be redirected towards addressing shifts. Whether it be to launch an idea in response to frustration (as done by the South Island Cultural District), promote the internationalisation of a local scene, or encourage interaction on a transactional, educational, or societal level. Most notably of all, technology is advancing faster than the art world is changing. Therefore, stay focused on the development rate and aim to be compatible.